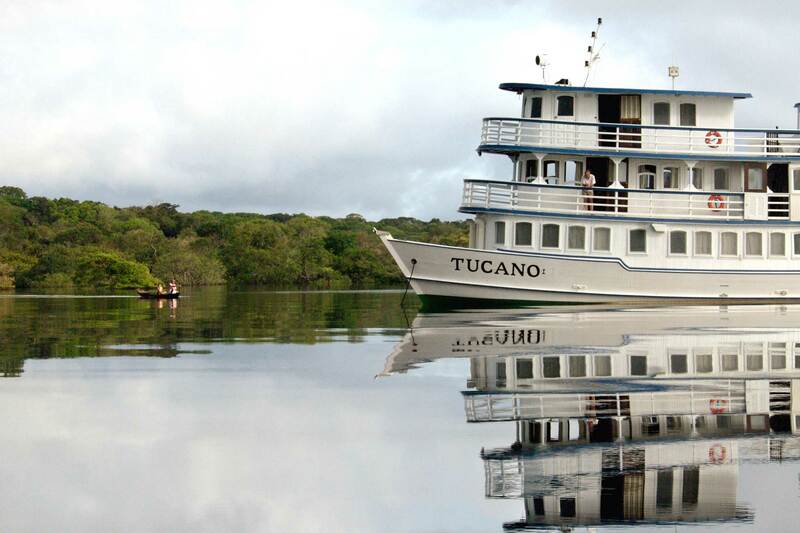 The M/Y Tucano is designed specifically to explore the Amazon in the most thoughtful and sustainable way. 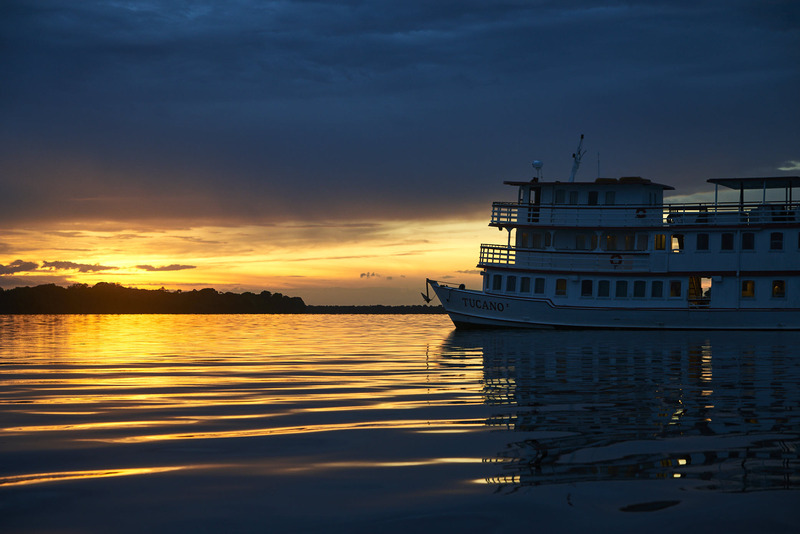 The ship offers plenty of space to spread out and contemplate the wonders of nature. 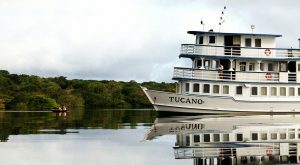 The Motor Yacht Tucano is comfortable, sophisticated, and very well suited to exploring the Amazon wilderness. The vessel was built in the elegant style of a classic river steamship, but it is actually a modern and fully certified commercial cruise vessel. While we are able to travel in comfort, we are not insulated from the forest. We remain focused on the flora and fauna of this magnificent wilderness. The voyage is quite active, and we spend most of every day exploring the forest on foot, by kayak, or in our boat’s launches. 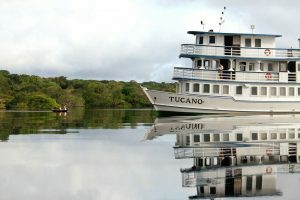 All of the staterooms on M/Y Tucano are outside staterooms and have lots of windows. All are air-conditioned and have full private bathrooms. 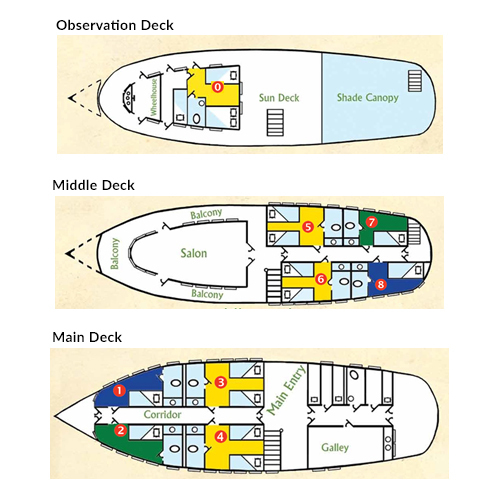 Some staterooms can accommodate three persons. 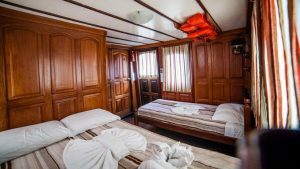 While some stateroom categories are smaller than others, they are still are bright, airy, and comfortable. 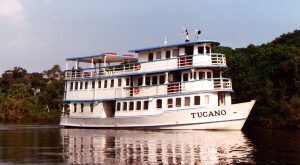 There are three categories of staterooms, and all are outside with large windows, private baths with showers, and air-conditioning. 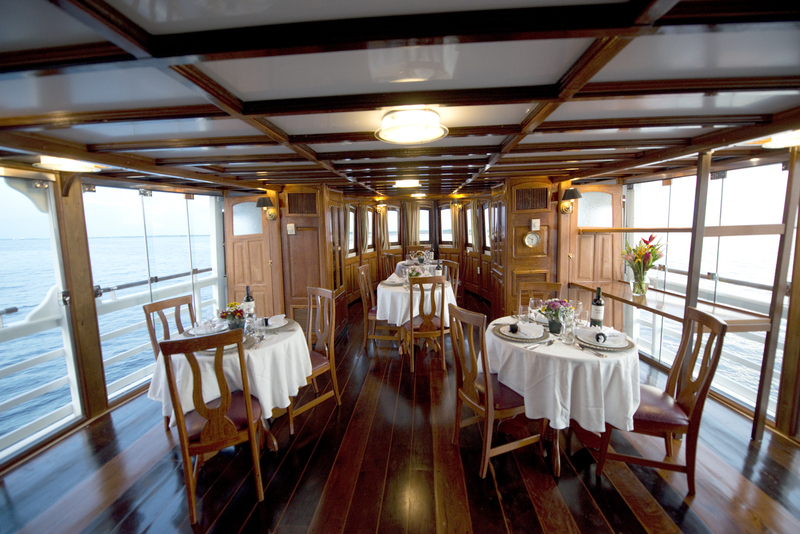 The five double staterooms in this category are large and have beds side by side. They are numbered 3, 4, 5, 6, and 0. Stateroom “0” has a queen size bed and a single bed. The double staterooms, #2 and #8, have above and below berths with single size mattresses. They are smaller than the Yellow staterooms. These single staterooms, numbers 1 and 8, have a single twin bed. 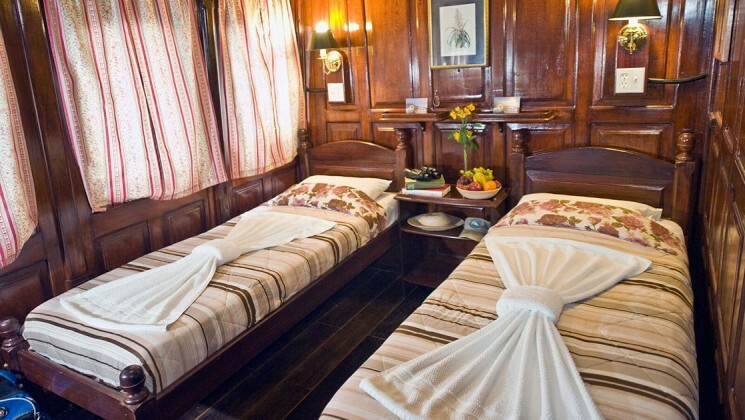 On request, these can be converted to Green staterooms for two persons. 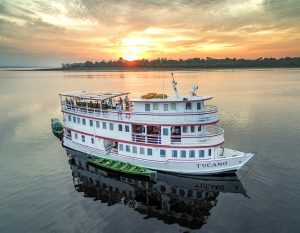 Since the corridors on the M/Y Tucano are on the inside instead of running around the outside of the vessel, the staterooms offer privacy and we can leave our curtains open to the awe inspiring vistas of the Amazon. 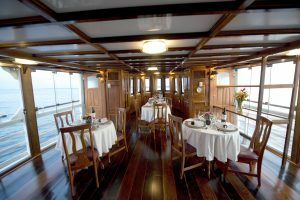 From this large space, at the front of the vessel and filled with windows, we are treated to fantastic vistas of the wilderness around us. 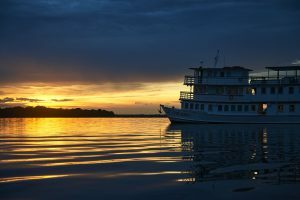 The top deck is a wonderful place to spot wildlife or soak in the vastness of the Amazon. There is space to catch some sun and watch the Macaw parrots screeching across the afternoon sky. 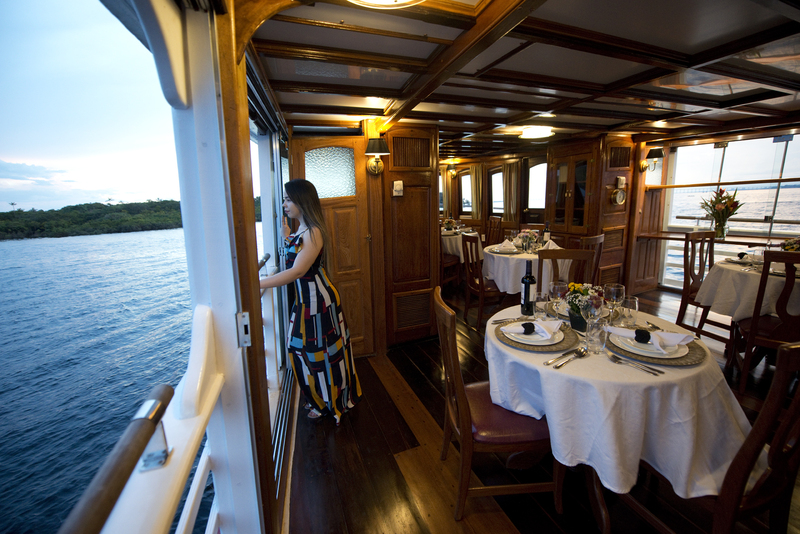 On the M/Y Tucano we serve a great variety of delicious Brazilian dishes. There are fresh vegetables and fruits along with Amazon fruit juices. We are always treated to a wonderful dessert! 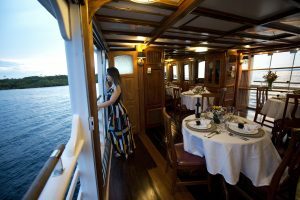 This broad balcony faces forward and is a serene spot to relax as the vessel navigates along the deeply forested shore. It can be a good place to observe monkeys jumping from one vine to another and pink dolphins leaping into the air. The Motor Yacht Tucano endeavors to operate the most sustainable cruises in the Amazon. The vessel was designed with three systems to increase our sustainability: solar power, waste management, and pollution control. Solar Power: There are two separate solar equipment assemblies on board the M/Y Tucano. 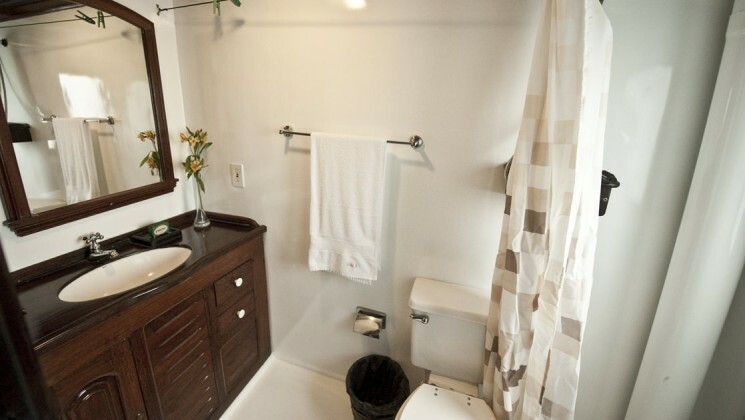 One of them, to heat water, consists of solar-water panels for our sinks and showers. The other consists of solar-electric panels which generate electricity for our launch motors and many other uses on board. 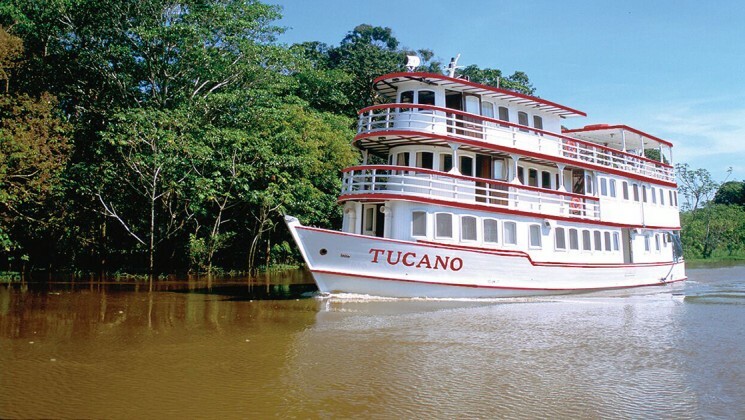 Waste Management: All of our waste and recyclable material is separated and returned to Manaus, Brazil. Where possible, we avoid disposable packaging.